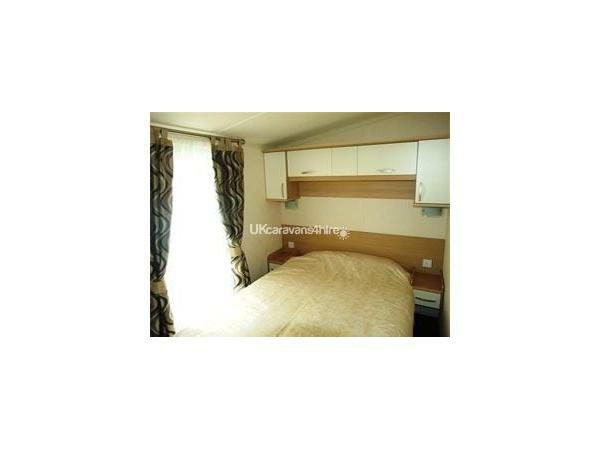 £75 non refundable deposit required to secure holiday dates with the balance due 8 weeks prior to arrival. 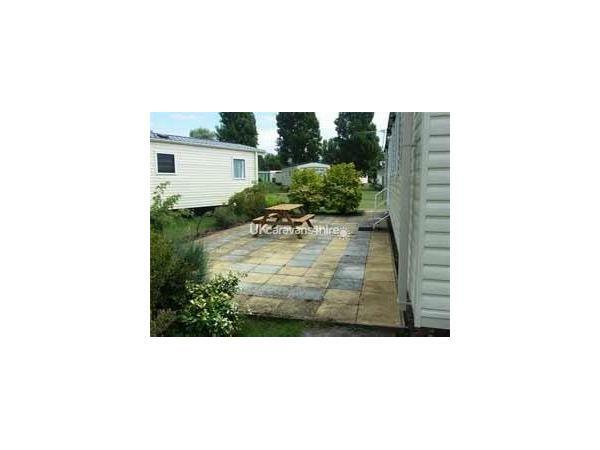 £50 security deposit is required for family breaks, £100 during Adult breaks. 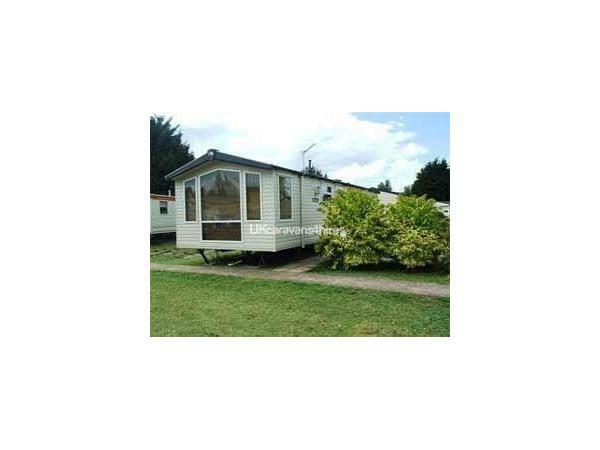 Modern, luxurious and idyllically lakeside located, 3 bedroom Swift Moselle now available to hire on the ever popular Butlins Lakeside Caravan Park, Minehead. Being fully centrally heated and double glazed makes it the ideal retreat all year round. 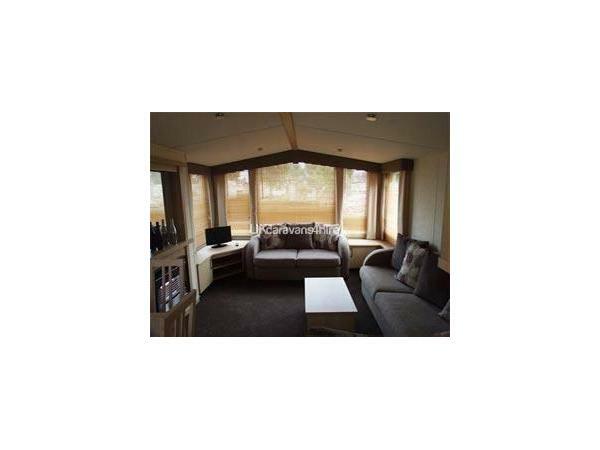 The caravan boasts a beautiful lakeside position and benefits from a large, private, full length patio with furniture to enjoy the idyllic surroundings. Private parking is available for one car very close. 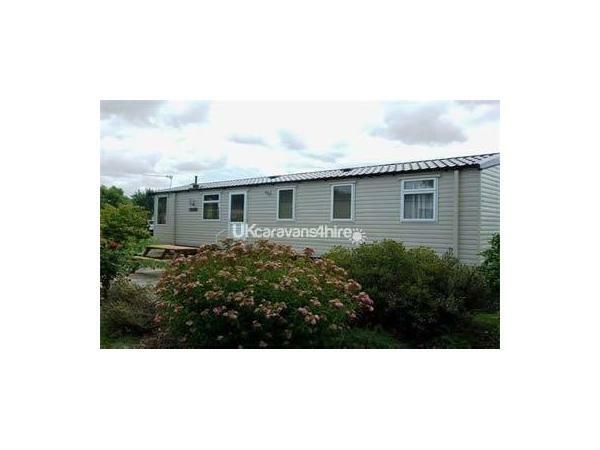 The caravan is very spacious with the accommodation comprising one double bedroom and two twin bedded rooms, all with fitted wardrobes. 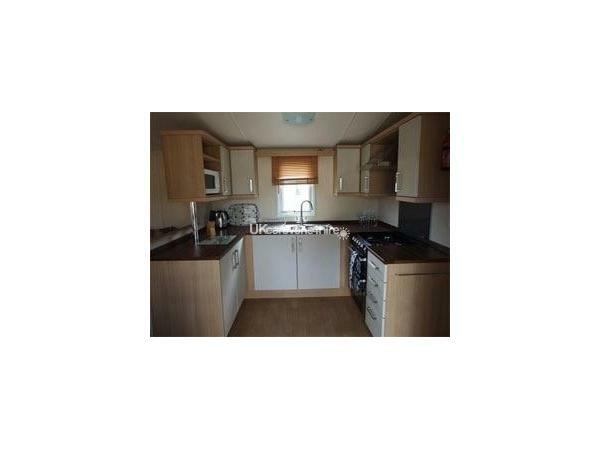 It has been equipped to a very high standard providing everything you need to make a real home from home, including a full size integrated fridge/freezer, cooker, microwave, toaster, kettle etc. 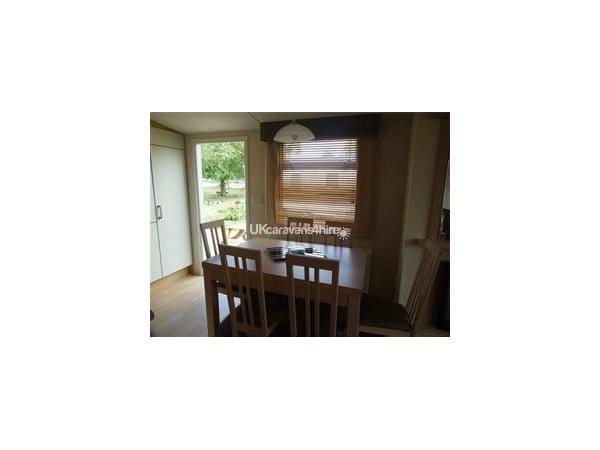 A freestanding dining table with 6 chairs, 2 bathrooms means self catering made easy with room for all the family. The lounge has ample seating with large corner settee and a separate two seater, also a TV/DVD with built in freeview, and a gamestation with selection of games and DVDs. £10 Butlins admin fee will be added to all bookings, £20 if booked less than 7 days in advance. By booking directly with us you can make fantastic savings on your Butlins holiday. There's Splash Adventure Waterworld, Bob's yard with exciting rides for the little ones, all the fun of the fair ground, skyline gang, all day activities with the red coats, puppet theatre, favourite character shows are all included with your entertainment passes. Butlins has plenty to offer with bars, eateries and shops, but if you want to go a little further Minehead town centre is just a 10 minute walk away and of course the beautiful sandy beach is on the doorstep.